The weather’s taken a turn in recent days and we’ve been waking to the wintery sight of the village rooftops and leafless trees dusted with a layer of glittering frost. The sun then rises slowly and winter melts in an hour or so, leaving behind a dewy dampness that holds until nightfall. We’ve endeavoured to make the most of the early winter sun over the past few weeks, so I thought I’d share some pictures taken while we've been out and about at the weekends. Some of the National Trust gardens on our doorstep are at their most striking in Autumn. At Sheffield Park, the soft sunshine of a late November afternoon illuminated the feathery fronds of eulalia and pampas grasses overlooking the ponds and the lacy canopies of burnt orange oak leaves that bowed towards their watery reflection. Crab apples clung precariously to their boughs as every now and again they were disrupted by a sudden gust of icy wind. The surface of the moat that hoops Scotney Castle was scattered with tawny leaves and the surrounding evergreens and shadowy skeletons of limes and elders provided a perfect foil for the last of the acers’ fiery, star-shaped leaves. Autumn had come to an end and the chilly feeling of midwinter was setting in. And so to December, which brings the year full circle. These past few weeks have flown by - I can't quite believe that in only a few days Christmas will be upon us. Yesterday was spent manically shopping online for last minute presents, but I have to confess that I’ve barely given the Christmas menu a single thought. I’m a serial planner and I like making lists, so I’m feeling a bit like a duck out of water at the moment. Although our son, Isaac was due to be born on 3rd December, he didn’t actually arrive until the 21st, so we have birthday plans to make as well. These next few days will no doubt be spent modelling Lego Star Wars figures from fondant icing and cursing the fact that, as usual, I’ve left the cake-baking until the last minute. Making inventive cakes from scratch has become something of a tradition in our family. My parents did it for my brother and me when we were small (friends still comment that it’s the thing they remember most vividly from the birthday parties we had as children) and it’s a ritual I feel is important to continue, even when time is in short supply. The winter solstice, when darkness reigns and candles and fairy lights take the place of the low lying sun, is now a day of great celebration for us. And with the longest night comes a sense of optimism that brings with it thoughts of renewal and hope: the darkest days are soon to be behind us - and Christmas is on the way! 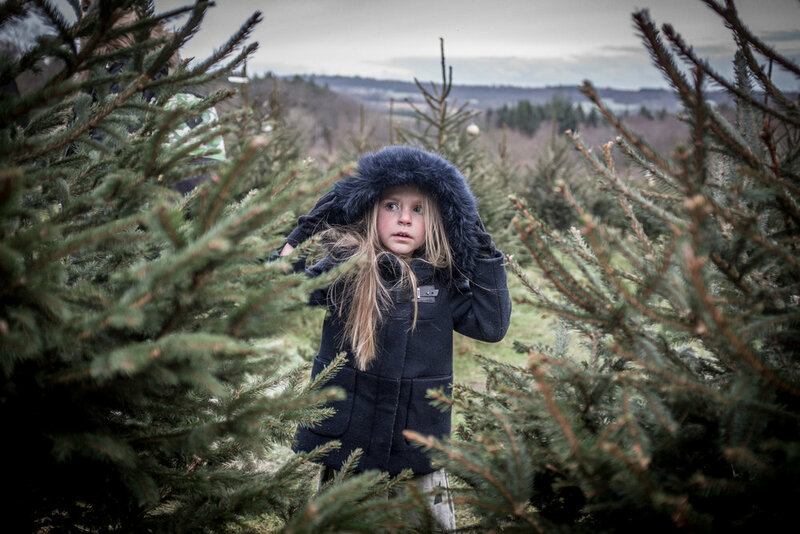 Last weekend we layered up in warm clothes and ventured out in fine festive mood for the annual tree chopping ceremony at our local tree farm, the Wilderness Wood - one of our favourite places to visit as a family during the warmer months. 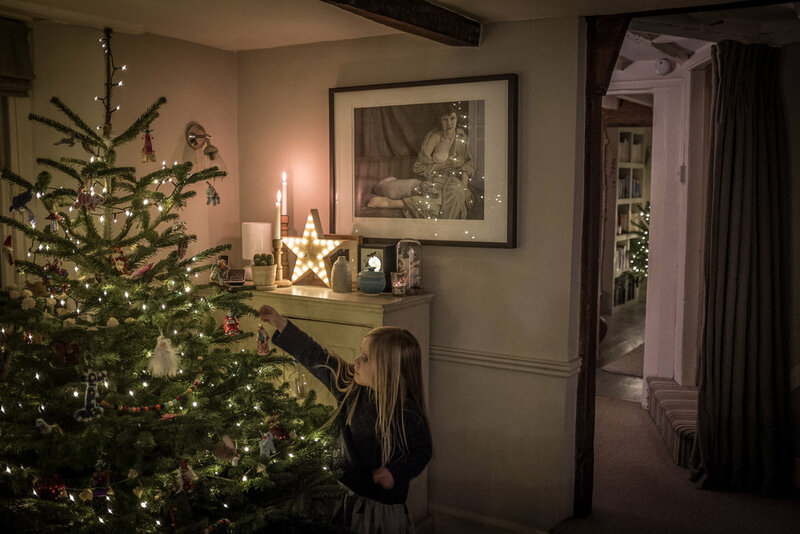 We arrived to find the whole place festooned with twinkly fairy lights and looking like a scene from a fairy tale. 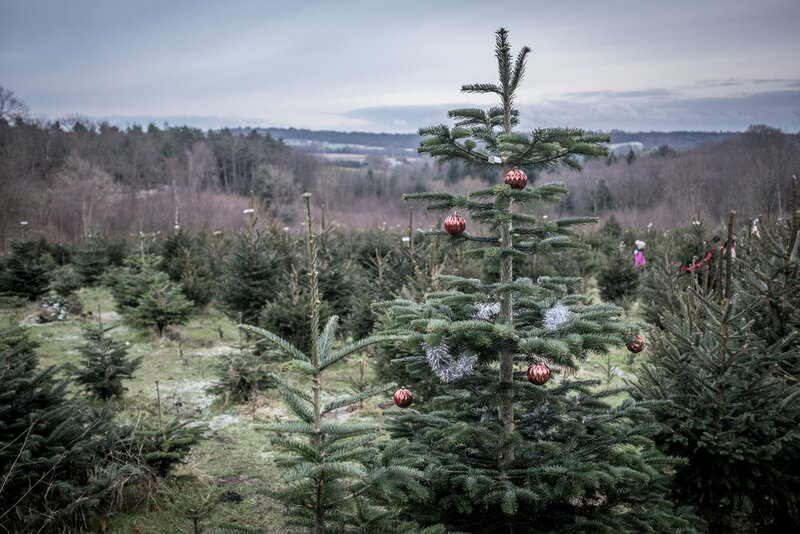 A Christmas fair was well underway and we wandered around soaking up the atmosphere, mellowed by mulled wine and the scent of chestnuts roasting on the enormous fire pit. 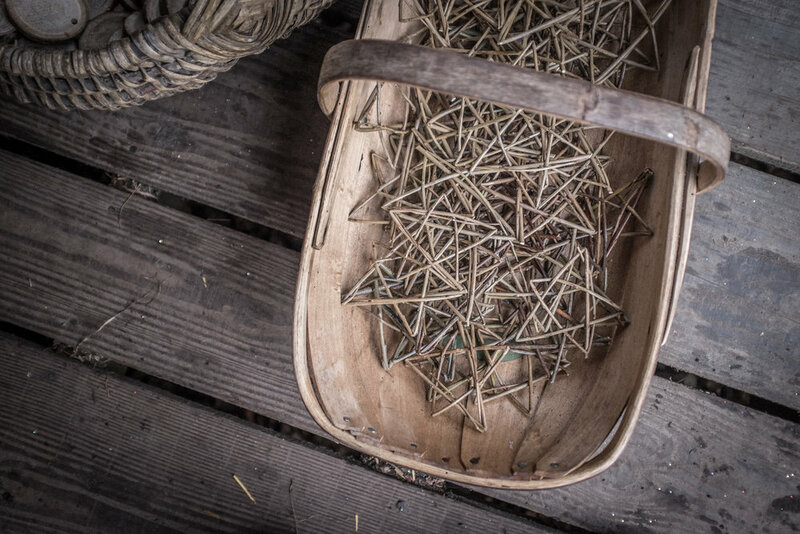 There was crafting for the children in one of the wooden lodges - Sophia made a pretty little willow star decorated with strands of wool and a sprinkling of glitter. It’s hard to say who was most excited about decorating the tree when we got home, me or the kids. I’m always surprised by how I’ve forgotten so many of the Christmas decorations that have been hibernating in the cellar for the rest of the year. Rummaging through the boxes, every so often one of us would hold up a little felted squirrel on skis or a miniature raffia rocking horse and say, “ahh, look everyone, remember this one?” This will be our sixth winter in our country house and we’ve hosted Christmas each year - it’s something I really look forward to. There’s still plenty to do. I’m spending my evenings this week reading cookery books by the glow of the Christmas tree, making lists, and trying not to get too stressed about it all. But I am allowing myself to get slightly giddy with excitement and anticipation. Aren’t you?